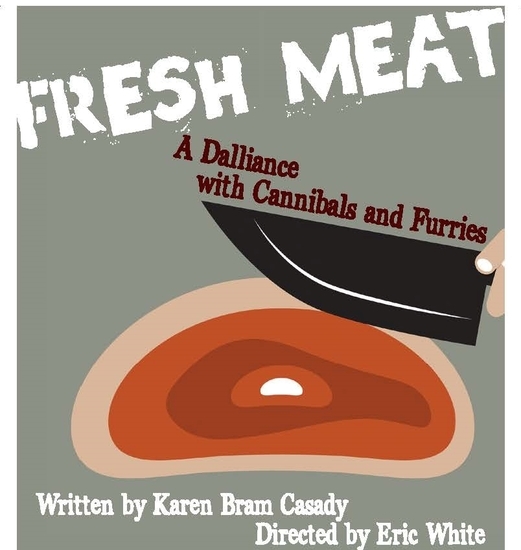 A dark comedy with cannibals and furries whereby one small algorithm goes awry and all hell breaks loose.The setting of Fresh Meat is a dystopic society in which criminals are disposed of by anthropophagy – the eating of human flesh. Through some bureaucratic error, Peter, the butcher, is put in the position of carving up a person that he knows thus setting up the action in the play. The setting of Fresh Meat may look normal on the surface, but it is the societal values and laws that define it as an imaginary dystopia thus allowing cannibals, furries and others to engage in their respective shenanigans. That said, a simple way to put the message is: it’s a play about cannibals and furries and how we treat our friends.